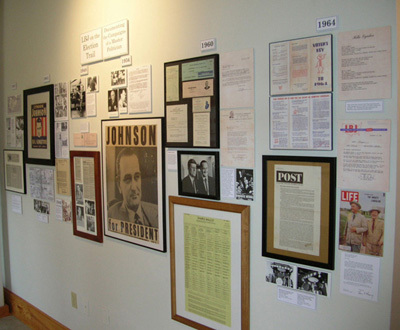 LBJ on the Election Trail: Documenting the Campaigns of a Master Politician is a new rotating exhibit now on display in the front lobby of the LBJ Museum of San Marcos. 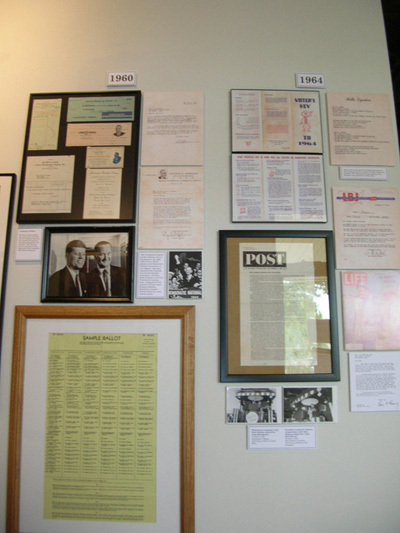 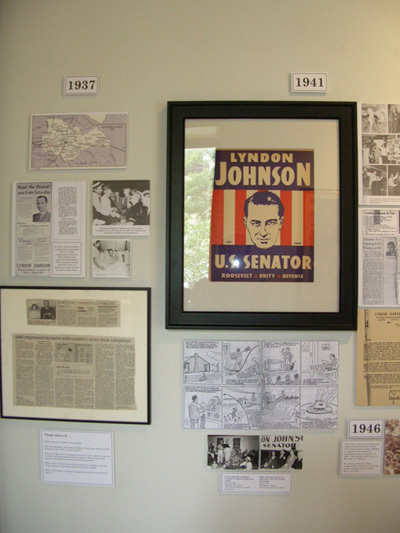 This exhibit features historic photographs, correspondence, campaign posters, rare documents, illustrations, artifacts, and news information about Lyndon Johnson’s political campaigns from 1937 through 1964. A variety of sources reveal Johnson’s campaign strategies and how San Marcos citizens, south-central Texans, and Americans participated in his elections. 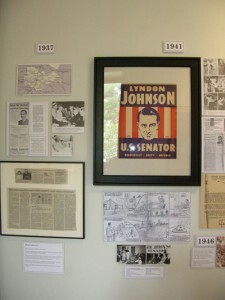 Admission is free; our hours are Thur, Fri & Sun 1:00 – 5:00 p.m. and Sat 10:00 a.m. – 5:00 p.m.